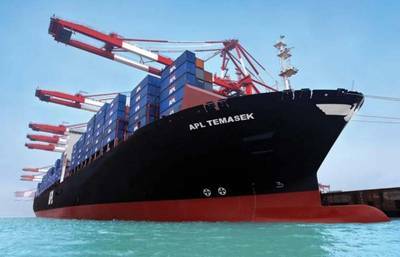 CMA CGM S.A has crossed the compulsory acquisition ownership threshold in Neptune Orient Lines Limited (NOL). Following its all-cash voluntary conditional general offer (Offer) for NOL which was launched on June 6th, 2016, CMA CGM now owns 2,376,715,557 shares representing approximately 91.28% of NOL’s share capital. CMA CGM confirms that it intends to exercise its rights of compulsory acquisition to compulsorily acquire all the NOL shares held by NOL shareholders who have not accepted the Offer, at a price equal to the Offer Price of SGD1.30, in accordance with the Companies Act (Chapter 50 of Singapore). CMA CGM will therefore exercise its rights to compulsorily acquire the remaining NOL shares as soon as practicable after the close of the Offer. Payment for NOL shares that are compulsorily acquired will be made in cash within 7 business days after the completion of the compulsory acquisition exercise, which is expected to take at least one month from its commencement. Further information on the compulsory acquisition process will be announced in due course. In the meantime, NOL shareholders can continue to tender their NOL shares before the close of the Offer. NOL shareholders who accept the Offer before the Closing Date will be paid SGD1.30 per NOL share in cash within 7 business days after the date of receipt of their valid acceptance. Acceptance of the Offer must be received no later than 5:30 p.m. (Singapore time) on July 18th, 2016 or such later date(s) as may be announced from time to time by or on behalf of CMA CGM. Full details of the Offer are set out in the Composite Document dated 6 June 2016, which has been despatched to NOL shareholders.